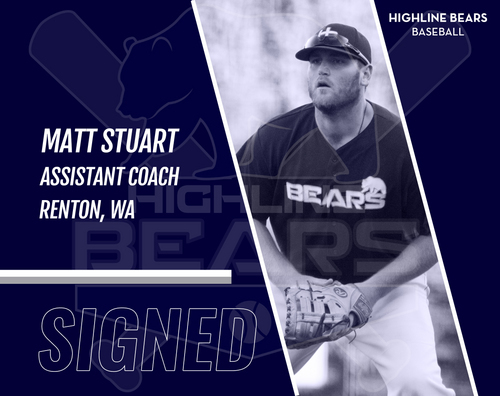 The Highline Bears are excited to announce the signing of former first basemen, and new assistant coach Matt Stuart for the 2018 summer season. Stuart is returning for his third season with the Bears and first as part of the coaching staff. Stuart was named an All-League Honorable Mention first basemen last season. Stuart lead the team on and off the field in 2015 and 2017. Stuart graduated from Lindberg high school in Renton, and was a starter on the varsity baseball and football team. After attending Green River College for baseball he signed with NAIA Baker University where he is finishing up his senior year. "Stuart is a great guy and natural leader on and off the field. We talked towards the end of last season about him coming back as a coach and I'm happy we were able to bring him onboard." Explained Manager Josh Evans. "I’ve loved the atmosphere of playing for the Highline Bears, especially the game day atmosphere. The Bears do a great job of getting as many people as possible to the ballpark and giving it a minor league type of feel with our mascot, the games for kids in the outfield in between innings, and all of the giveaways and promotions. It’s an awesome experience and something I’ll always remember as a player. I’ve always had aspirations of being a coach, both in baseball and football, so coaching baseball here at the college age level will be an awesome start and experience for me. I’ve also always appreciated the Bears organization. Playing two seasons for the Bears, I am glad that I know people in the organization and have been given this opportunity to coach." Said Stuart"
The Bears have worked hard this off-season recruiting and building a bigger and better program. 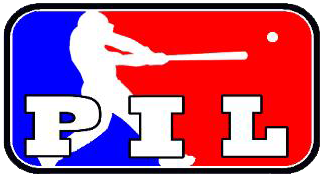 With opening day just a couple months away they have nearly filled their roster. "I'm excited to have Matt on the coaching staff! Having played with us for two seasons he can help guys get comfortable with what we're doing faster, and be a great resource for players." Explained General Manager Justin Moser. When asked if the transition from player to coach would be hard Stuart responded "I don’t think the transition from playing to coaching will be too difficult. I have coaching experience already in football, basketball, and baseball all at the middle and high school level and it is something I’ve always enjoyed doing. The only difficult part may be those times and those situations when I really wish I was up there at the plate or in the game. Sure I will miss playing, but I hope to coach for a very long time. I just really want to thank the Highline Bears organization for this opportunity. I want to thank Justin and Josh for reaching out to me and showing interest in me as a coach. I had a great time in my 2 years of playing for the Bears and can’t wait to get started this summer as a coach. Go Bears!" The Highline Bears open their season on Friday, June 1st at 7:05pm, against the North Sound Emeralds. The Bears expect the game to sell out, tickets are currently still available online at HighlineBears.com/Tickets.